What CPR Certifications Do I Need to Become a Nurse in Virginia? Nurses in Virginia are required to hold current CPR certifications whether they work in home health care, doctor’s offices, hospitals, nursing homes, etc. Most employers require that nurses hold a Basic Life Support (BLS) certification. As working medical professionals, nurses may also be required to hold other Advanced Healthcare Provider-level certifications, such as the certification in Advanced Cardiovascular Life Support (ACLS) and/or Pediatric Advanced Life Support (PALS). These courses are specifically designed for nurses – from CNAs and LVNs, to RNs and NPs – as well as those with prior medical training and/or who work in some type of medical or emergency response capacity. 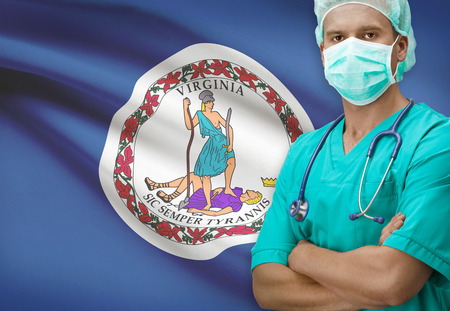 Who is Required to Have BLS and/or ACLS Certification in Virginia? This Veterans Health Administration (VHA) directive establishes the policy to optimize patient safety within the Department of Veterans Affairs (VA) system by training appropriate staff on Basic Life Support (BLS) and Advanced Cardiac Life Support (ACLS). AUTHORITY: 38 U.S.C. 7301(b). They break down the certification requirements by the type of position the employee will hold. In our experience, these breakdowns are fairly standard across the board for nurses and clinical staff in Virginia. BLS Certification. Required for all clinical staff. Period. From nurses assistants to RNs, anyone who works in a clinical capacity must have a minimum of BLS certification. Even volunteer nursing assistants may be required to have BLS certification. ACLS Certification. This advanced certification is required for any clinical staff who will order, manage, administer, or supervise any type of anesthesia, as well as clinical personnel staffing ERs, urgent cares, surgical clinics, post-op recovering areas, procedure rooms, and the list continues. PALS Certification. While the VA is less concerned with pediatrics, health care facilities who serve pediatric populations mandate clinical staff have Pediatric Advanced Life Support, which highlights the unique nuances associated with infant and child CPR and lifesaving techniques. Are you a nurse or nursing assistant who works – or plans to work – in a clinical setting? These certifications are a cornerstone of having the certifications you need to get a job. Have an employer who requires BLS, ACLS and/or PALS certification? Ask them about onsite CPR courses, designed to bring the training to you. Using a conference, meeting, or multi-purpose space in your facility, certified CPR trainers will bring everything your clinic or facility needs to certify nurses, aides, medical volunteers, and/or others required to hold some level of CPR certification within your workplace. In addition to in-person, instructor-led courses, all of these CPR certification courses are also available online. That being said, our experience is that instructor-led courses have the greatest measure of success due to the collaborative learning atmosphere and the different types of questions, scenarios, and examples that are raised when various healthcare professionals come together as a group. What Are the Differences Between BLS and ACLS Certifications? Sometimes, healthcare professionals opt to augment their required certification with a higher-level option to enhance their knowledge bank, to prepare themselves in case of an unanticipated event and/or to improve their marketability when applying for new or varied positions. The following is a brief description of each of the advanced life support certifications held by nurses and other medical personnel. Recognize a range of common, life threatening emergencies. Deliver appropriate ventilation – via both rescue breathing (if/when necessary) or with ventilation apparatus. Provide early use of an AED, which has shown to notable increase resuscitation rates when compared with CPR-only resuscitation. BLS certification is good for two years, after which it must be renewed. You can Click Here to view a list of our upcoming BLS for Healthcare Provider course dates. Improving outcomes in more complex aspects of cardiovascular care, including respiratory, metabolic, toxicologic and other types of emergencies. Preemptive diagnosis and treatment pre-arrest, arrest and post-arrest patients. Improving critical thinking and decision-making strategies. There is also an ACLS Heartcode certification option, which combines eLearning coursework with hands-on instruction and testing. All ACLS and ACLS Heartcode certifications are good for two years, after which they need to be renewed. You can Click Here to view a list of our upcoming ACLS certification course dates. Simulations of pediatric emergencies to guide instruction and improved critical thinking and decision-making strategies. Group and instructor discussions, interaction and feedback, providing deeper opportunities for collaborative and comprehensive learning. Information on more systematic approaches to pediatric assessment, basic life support, PALS treatment algorithms. Instruction on more effective resuscitation techniques. A PALS Heartcode certification course is available as well. Your PALS certification is good for two years, after which it must be renewed. You can Click Here to view a list of our upcoming PALS Classes. 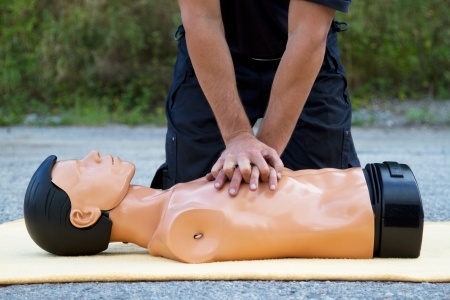 How do I Renew My Healthcare Provider CPR Certification? All of the major American Heart Association CPR certifications for healthcare providers are valid for two years. After that, current certification holders can take renewal courses. Outside of the fact that your job may depend on it, these renewal courses are important for a variety of reasons. First, the more we learn about the body and continue to track CPR statistics, the more we learn about ways to improve CPR to best support healthy resuscitation. The American Heart Association Guidelines are continually updated in response to the most recent data, so renewal courses ensure you have access to the most recent facts, figures, and researched-based resuscitation techniques. Secondly, the data tells us that retention of CPR instruction and techniques diminishes over time. Like anything, the more we practice something, the better we get at it. While some nurses may perform CPR on a regular basis, others rarely do, so it’s important that the collective knowledge and hands-on practice banks are refreshed on a routine basis, allowing for increased retention over the course of time. If you’re due for a CPR certification renewal, visit our Full Class Schedule that shows the range of both initial and renewal courses offered in date order. You can also opt to filter the results by location. Are you interested in obtaining CPR certification for your nursing career? Are you a nurse who needs to renew your healthcare provider CPR certification? Contact us here at the Response Institute. We’re an AHA approved training center that offers a wide range of classes and AED supplies. Don’t forget to ask us about our onsite training options.